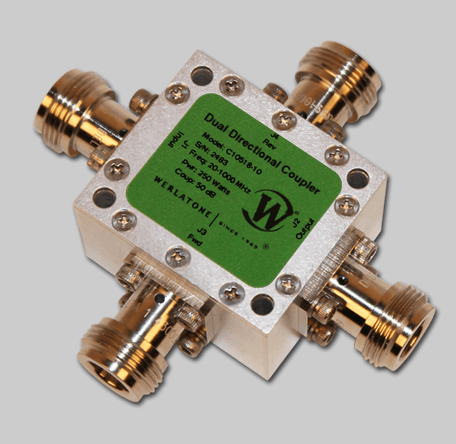 The C10518 is the second release in our series of new 20 to 1000 MHz, Directional Couplers. This compact, robust design is the connectorized version of the SMT Model C10561. Rated at 250 W CW, the C10518 operates with very low Insertion Loss (less than 0.2 dB Max.) and Directivity better than 25 dB across the full 20 to 1000 MHz bandwidth.